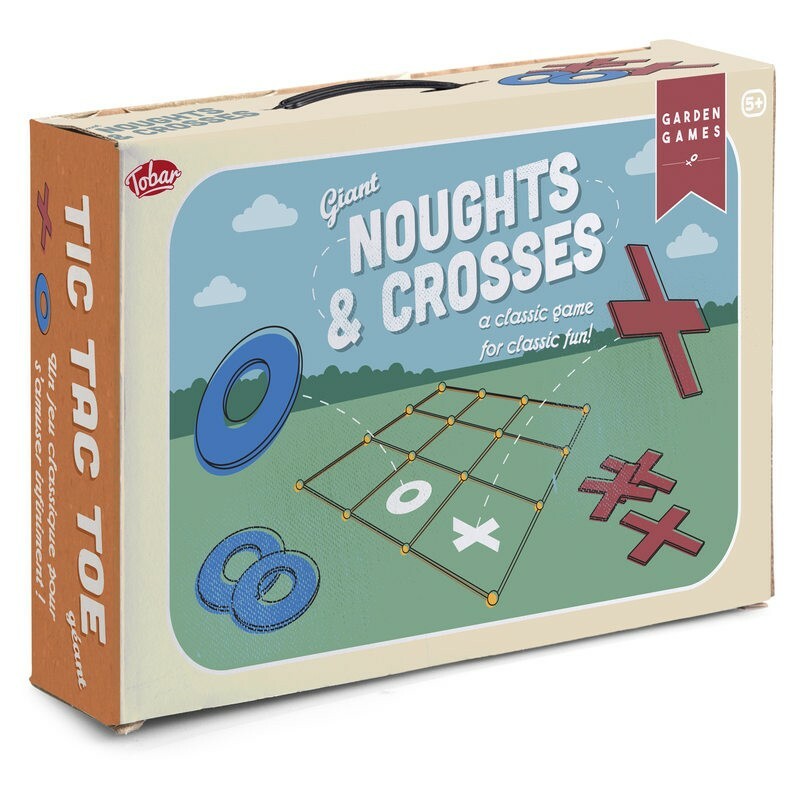 Super-sized version of the classic noughts and crosses game. 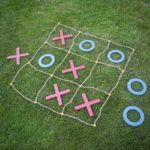 Lay down the net-like pattern on the floor to create the familiar three by three playing grid. 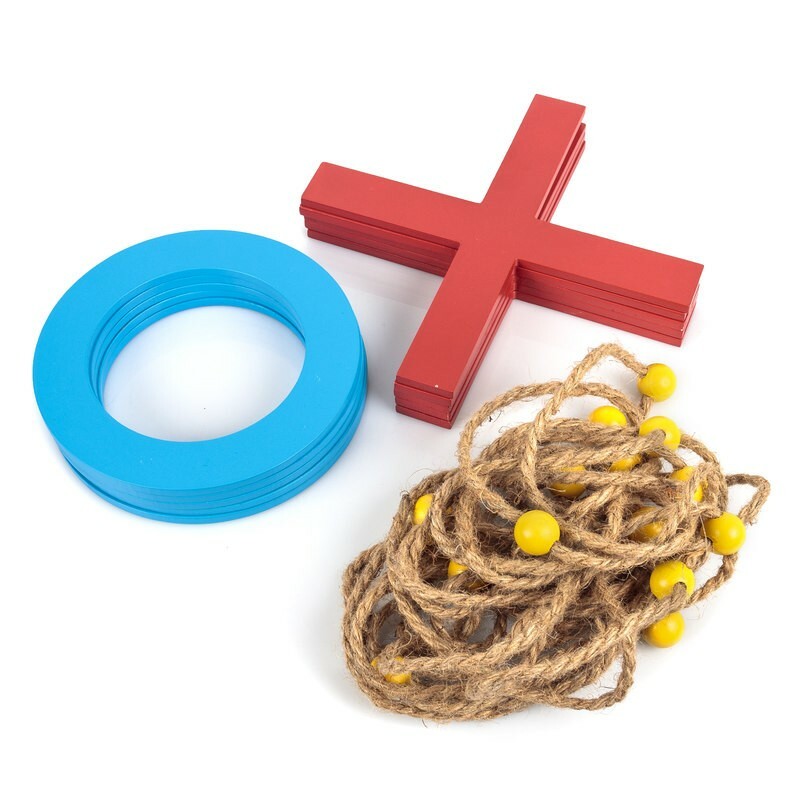 Also in the set are ten large playing pieces consisting of five noughts and five crosses. Players take it in turns to lay their pieces down on the grid, with the winner being the first player to successfully place three of their pieces in a straight line. Ideal for use both indoors and outside. 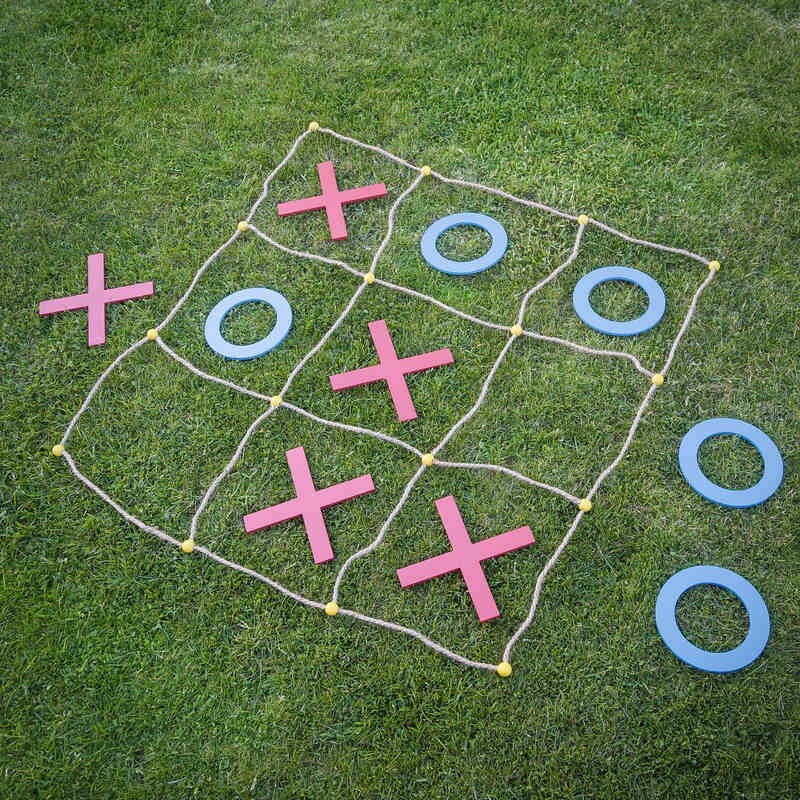 Net grid 90cm.